NEWS REPORT: Defending champions Györi Audi ETO KC will be drawn from the top pot on Friday 29 June. 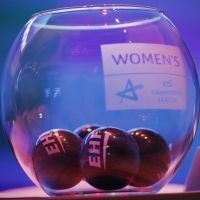 Following the confirmation of the teams for the next season of the Women’s EHF Champions League the European Handball Federation has released the seeding both for the qualification and the group matches draws. While the former draw will take place at the EHF Office in Vienna on Wednesday 27 June (11:00 hrs), the latter will be hosted by the Erste Campus in Vienna on Friday 29 June (12:30 hrs). Both events will be streamed live on the competition’s Facebook page and the ehfTV YouTube channel. Qualification will be played on 7-9 September in two tournaments, winners of which will be awarded with places in the group matches. The matches from each tournament will be played in one venue with two semi-finals, where teams from Pot 4 will meet teams from Pot 1 and teams from Pot 3 will face teams from Pot 2, followed by finals. The right to organise the qualification tournaments will also be drawn. The group matches draw will follow on Friday 29 June with the event starting at 12:30 hrs local time. 14 directly seeded teams plus two qualification groups’ winners will be divided into four pots of four teams. Teams will not be able to face opponents from the same country in the group. Györi Audi ETO KC, the defending champions, are seeded in the first pot together with two other participants of the Women’s EHF FINAL4 2018, Rostov-Don and CSM Bucuresti and Buducnost.